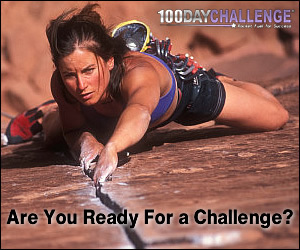 Goal setting strategies are your blueprint to goal setting success. When I work athletes, students and business professionals they often do a great job of setting long-term goals. Then I ask them what their goal strategy is? "What's that?" is often the reply. Your goal strategy is your blueprint for setting and achieving goals. Let's say you are going to build your dream home. You would most probably have detailed drawings and have a clear idea that the foundations are going to be laid before you can put in the walls and then complete the roof. You would have a vision of the house that you want to build, have a detailed house plan drawn out on paper, and have a list of smaller steps that you need to take to ensure you get your house built. Well it is the same with goal setting. 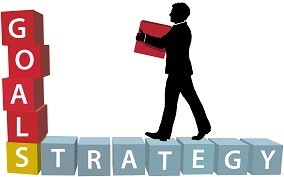 A strategy gives you the building blocks to set and achieve your goals. In an often quoted Harvard study conducted in 1979, graduates were asked how many of them had written their goals down and have a plan for achieving them. Enrol in a structured goal setting course to achieve your goal setting success. Interestingly when these same people were followed up in 1989, the 3% of people who had written their goals down were 10 times more successful than the other 97%. Here I provide you with a strategy to set the foundation of your success and build upon it. ....your chances of success increase 10-fold when you have a blueprint of how to achieve your goals. This goal setting diagram shows you the steps to make today’s vision into tomorrow’s reality. Develop a personal vision: Use this goal setting worksheet and goal setting activities to build your foundation to goal setting success. Short-term goals: Maximize goal setting success by setting SMART goals. 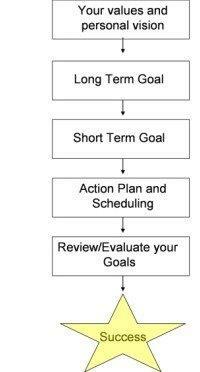 Develop an action plan: Identify the actions required for your short-term goals. What resources you need? 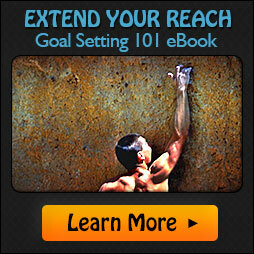 Time, money and anything else that you need can be put into this goal setting plan. Review and evaluate: There are a number of common errors that are often made in goal setting. Use these goal setting tips to stay ahead of the game in setting and achieving goals. See how goal setting theory is used to develop these goal setting strategies. Using a pen and paper on goal setting forms is a good way to develop your goal setting strategy. But if time is lacking and you want a way to develop and track your blueprint with minimal hassle then goal setting software could be for you.